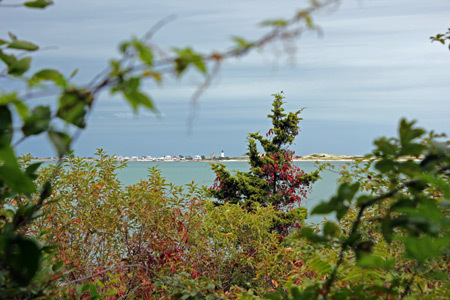 This past weekend we took a road trip up to Cape Cod. For us this is a 6 hour drive and we didn’t have much time so the emphasis was more on the road rather than the destination. We left super early to avoid the rush hours into and through New York City and Connecticut. The plan worked and we were in Hyannis before noon. 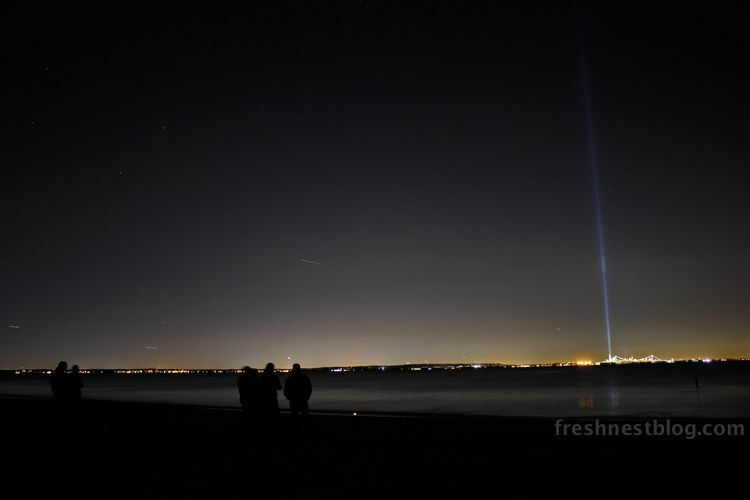 That’s a picture of Sandy Neck Light, on Sandy Neck, a spit of land not to be confused with Sandy Hook. This view comes courtesy of the Long Pasture Nature Preserve, a very cool park run by Massachusetts Audubon. 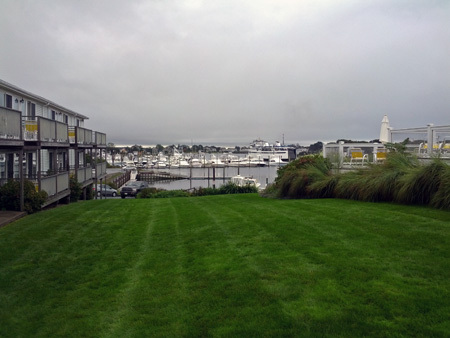 That’s a view from our hotel, and yes, it was that dreary the entire trip. 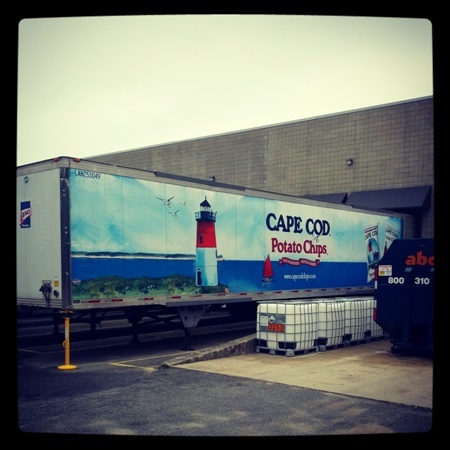 That didn’t stop us from visiting the Cape Cod Potato Chip Factory! On the way home we decided to make a few stops, one of which was Jamestown, Rhode Island. 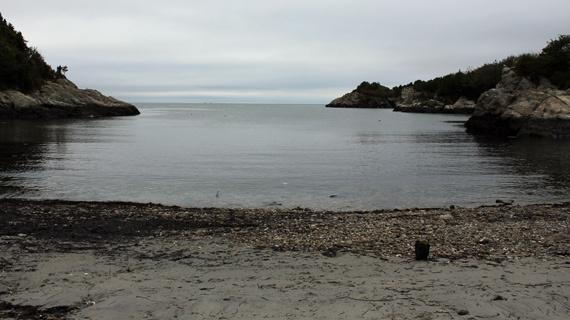 Jamestown is on an island in Narragansett Bay, and was the filming location for films such as Dan in Real Life and Moonrise Kingdom. The latter was the reason we wanted to check it out. Check out a few pictures. 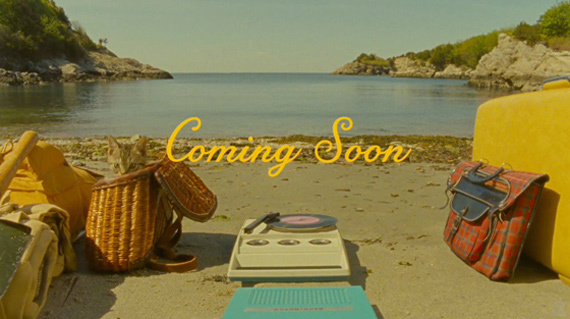 That’s a still from the Moonrise Kingdom trailer and below is the way we saw it that day at Fort Wetherill. 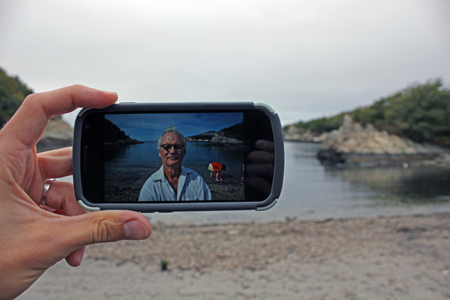 Fort Wetherill is a former fort turned park and was one of the more iconic settings in the film. So, this post didn’t really have anything to do with the house, but we’ll be getting to that. Stay tuned for some interesting things we found at an antique shop on the trip.